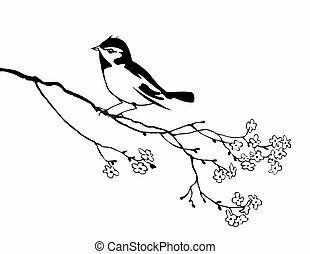 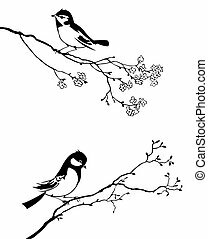 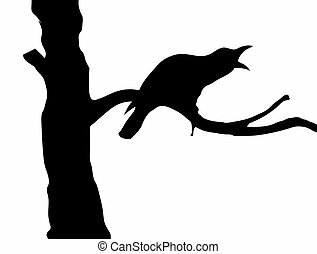 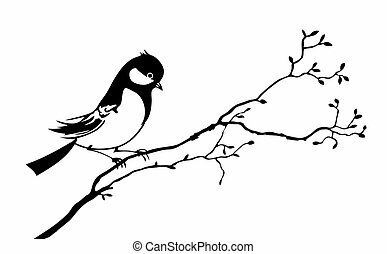 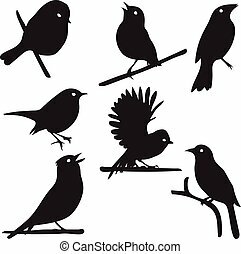 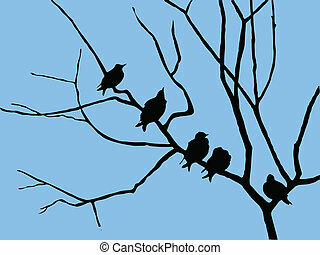 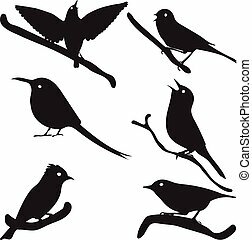 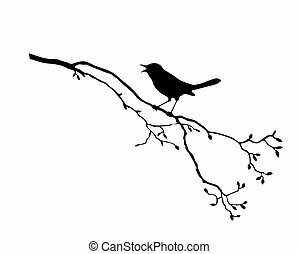 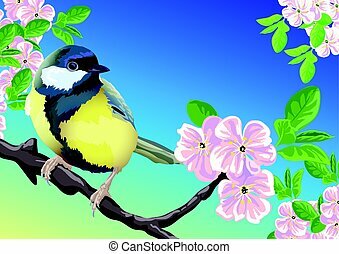 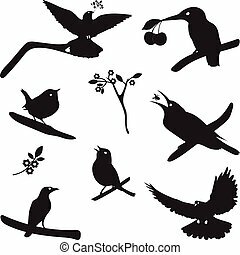 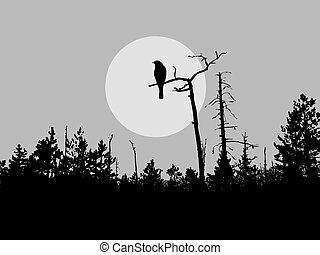 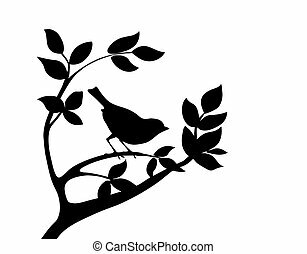 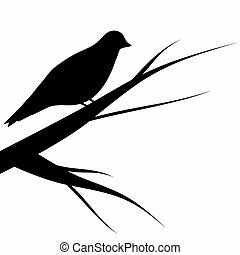 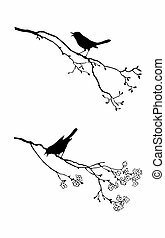 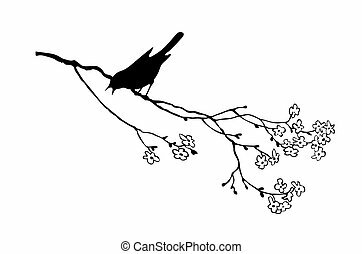 Bird silhouette on a tree branch, vector collection, colored silhouettes. 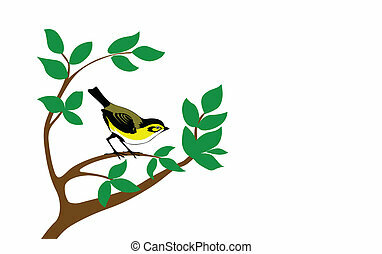 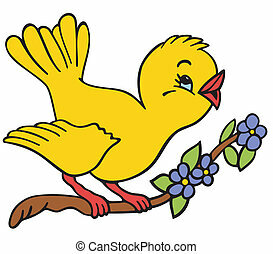 Cute bird on a tree branch. 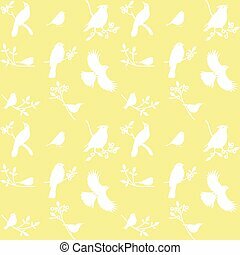 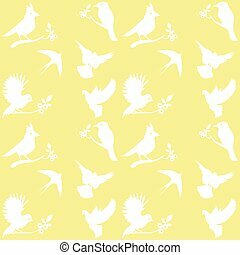 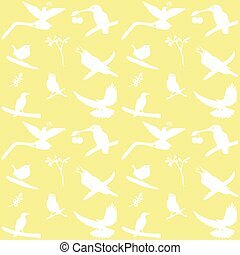 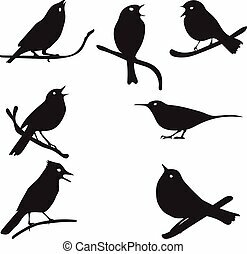 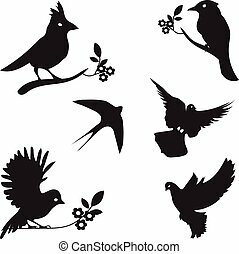 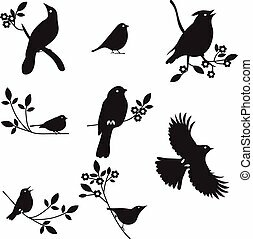 Vector Collection of Bird Silhouettes on a yellow background. 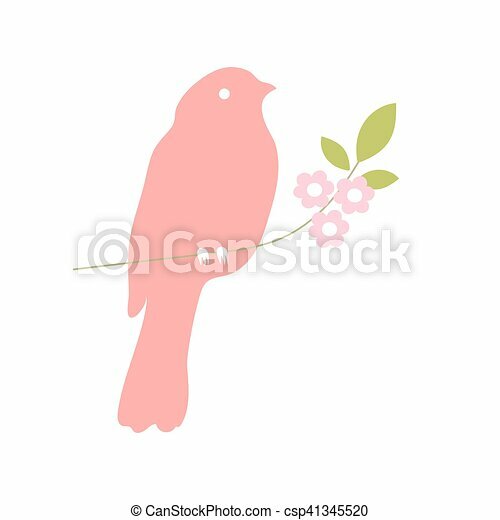 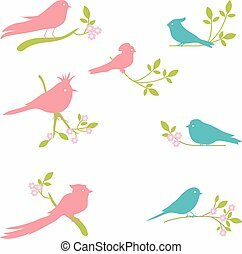 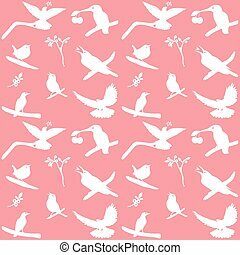 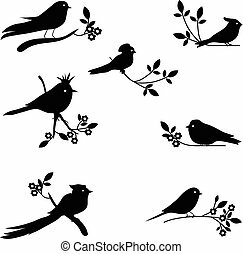 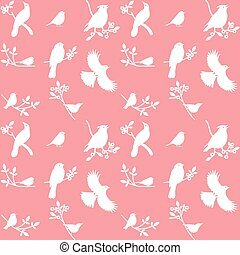 Vector Collection of Bird Silhouettes on a pink background. 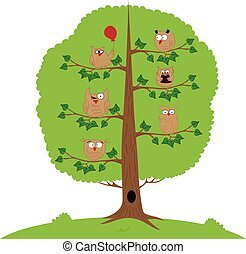 Funny owls sitting on a tree branch.